Earlier this month, geologists from around the world convened in San Francisco, California, USA for the American Geophysical Union’s Fall Meeting. This conference is a yearly milestone for graduate students like myself, who often present a poster or talk to share their research. 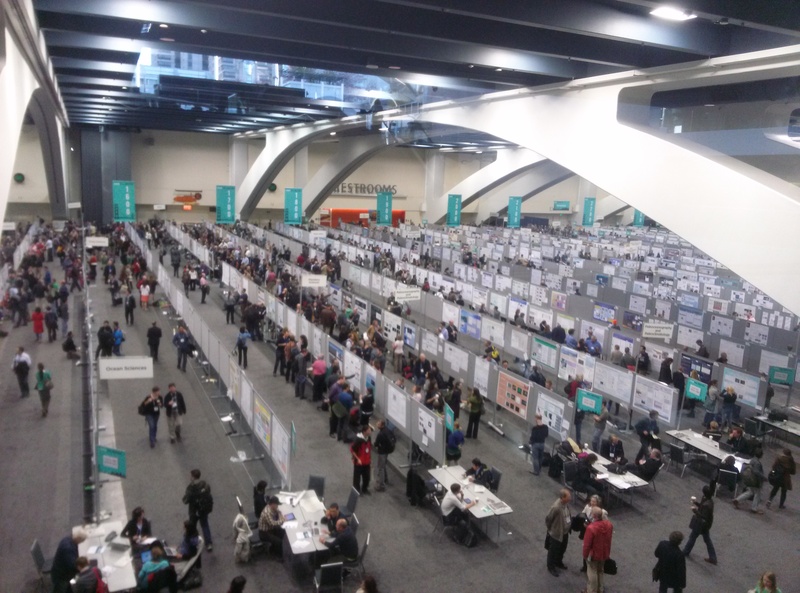 Just one of the AGU poster sessions – the posters in this room change daily for 5 days! Preparing a poster or talk for AGU can be a bit stressful (though you will certainly hear experienced geologists joke, “What’s so stressful about seeing 25,000 of your friends?”), but this year I had the opportunity to do something fun in addition to presenting my research: I gave a 5 minute “popup talk” about a program here at Brown in which graduate students teach science lessons to second grade students at a local elementary school! The talk, while fun to give, was a great opportunity to share the lesson plans and handouts associated with these lessons. If you are an educator, or even a student looking for an easy way to inspire kids with cool science activities, these are for you! The lesson plans use the Scientific Method as a foundation for learning, with simple experiments designed to teach second graders about basic science concepts through hands-on activities. They include a lesson plan for the teachers (or volunteers) as well as a “Science Notebook” handout for the students to fill out. 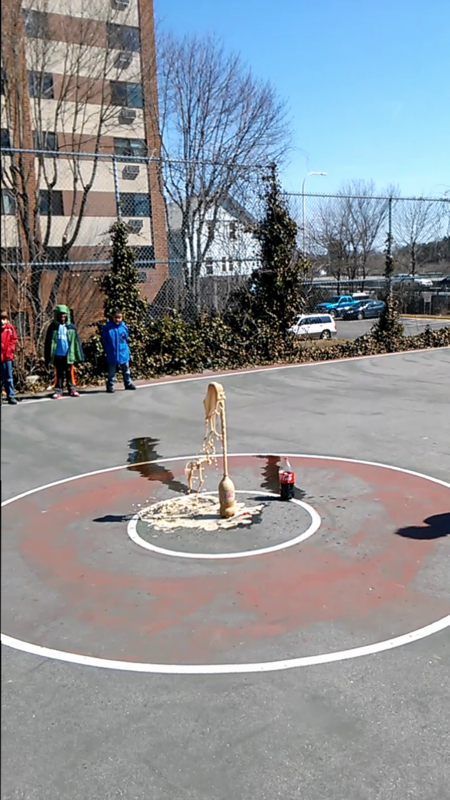 While following the progression outlined in the Providence Public Schools curriculum, the lessons are also linked to the national Next Generation Science Standards, which connect science to other topics through crosscutting concepts in math and writing. If you’re interested in using these lesson plans to teach science to kids, or if you’re simply looking for science activities to perform in the classroom, check out the lesson plan compilation available here. 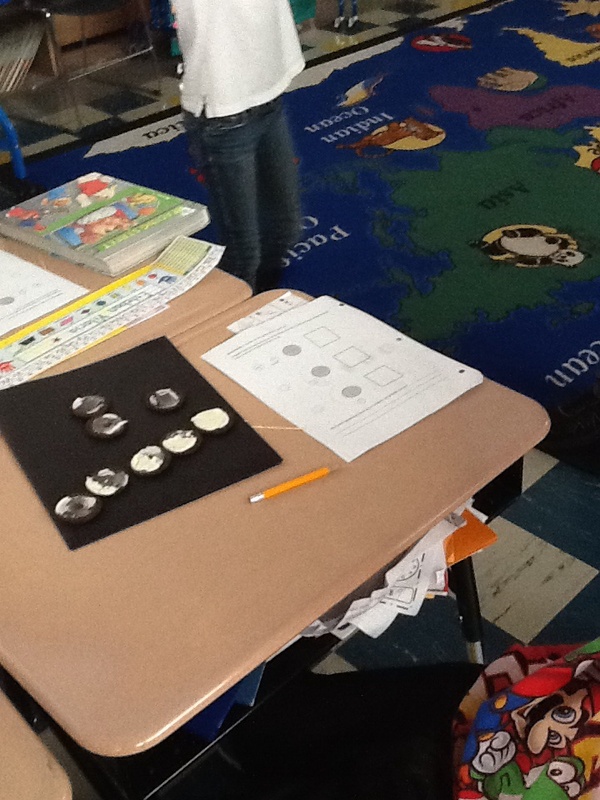 Phases of the Moon – made out of cookies! Previous Why Explore Icy Worlds?